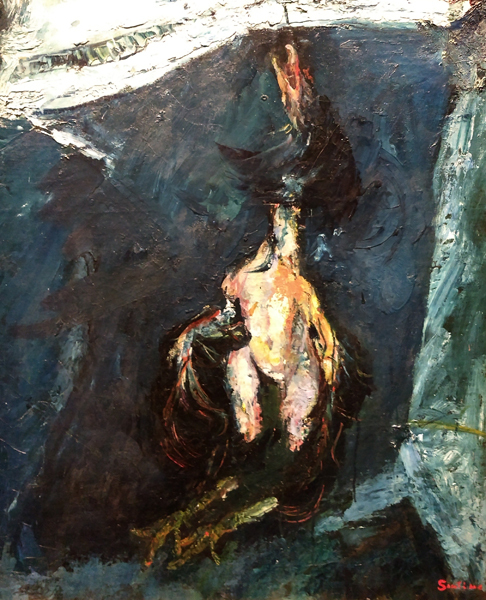 There is a Chaim Soutine exhibit at the Jewish Museum until September 16th. My husband and I really like him and look forward to seeing his paintings in museums and auctions. 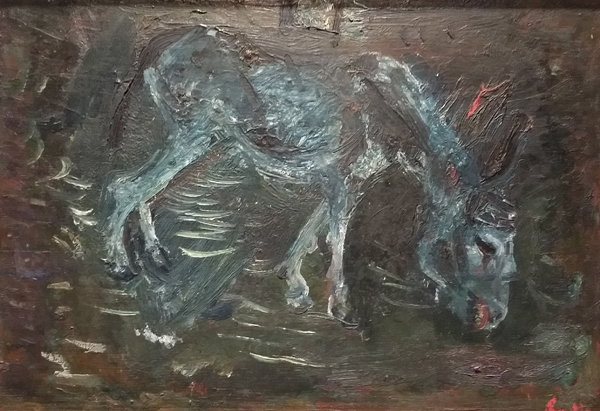 But this exhibit, entitled Flesh, is of his paintings of dead animals. These are my least favorite paintings, with animals usually hanging in his studio, during the painting. 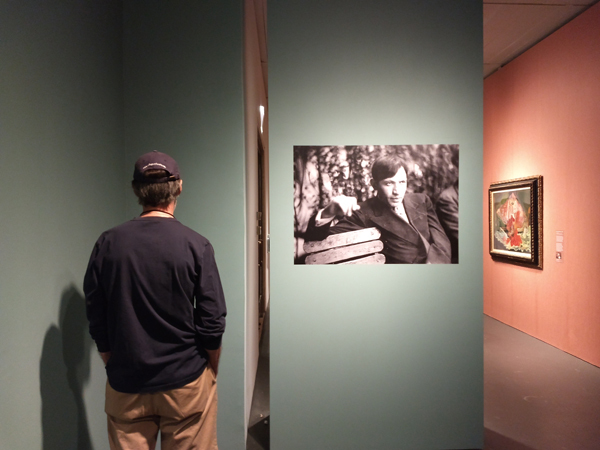 Here is a photo of Soutine from the exhibit. And here are 3 paintings that I sort of liked, but not well enough to draw/paint them as I frequently do at local exhibits. 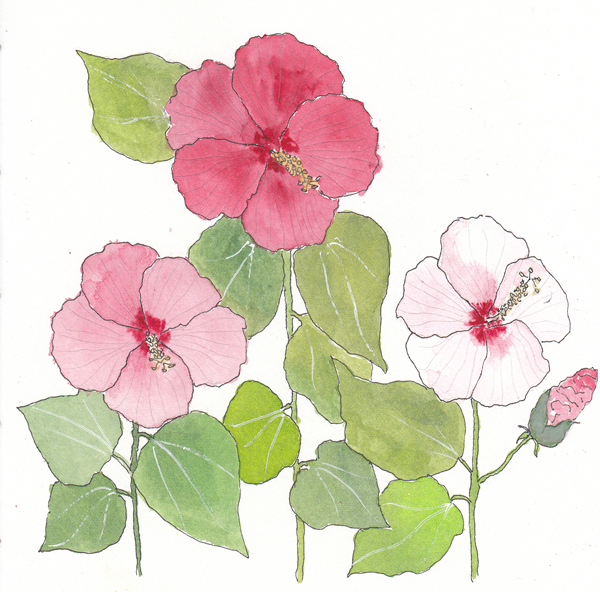 My favorite flowers of the season are the Dinner Plate Hibiscus at Battery Park City Wagner Gardens. 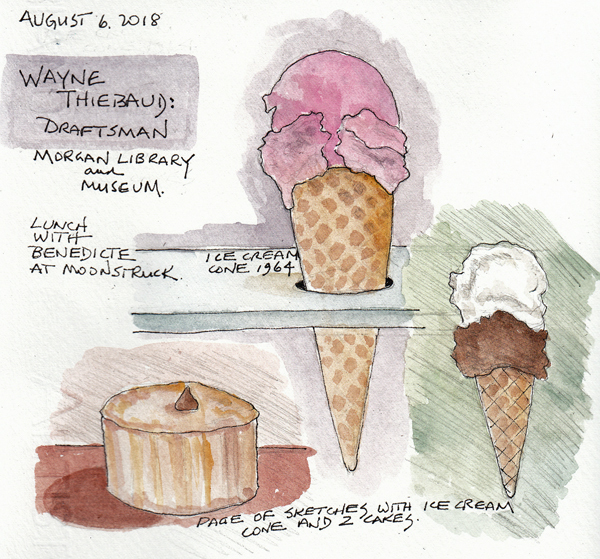 I hadn't been to the Art Programs for several weeks because of the weather, and was thrilled that they were still blooming everywhere at my next visit. 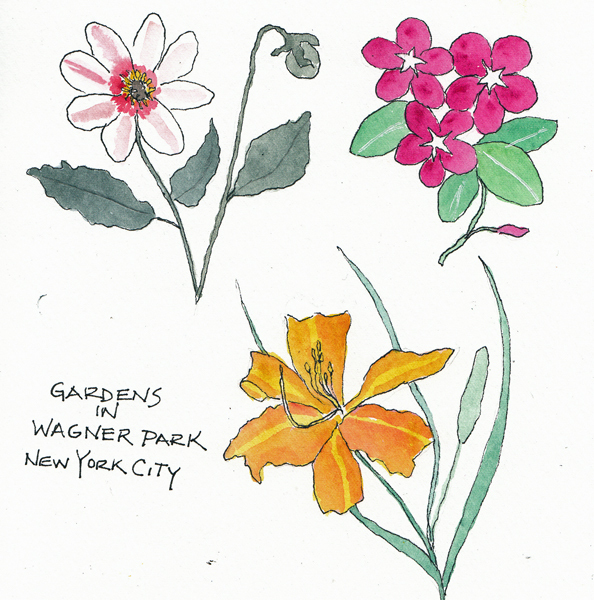 After drawing the flowers, I walked to South Cove for Figure al Fresco - our outdoor figure drawing session is close to NY Harbor and the Hudson River as it reaches the Harbor. 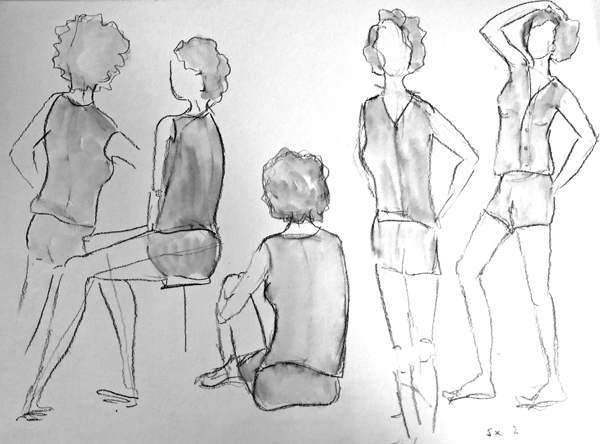 Our model was Regina, an old favorite of mine because I've been drawing her, at several different venues, since 2012. 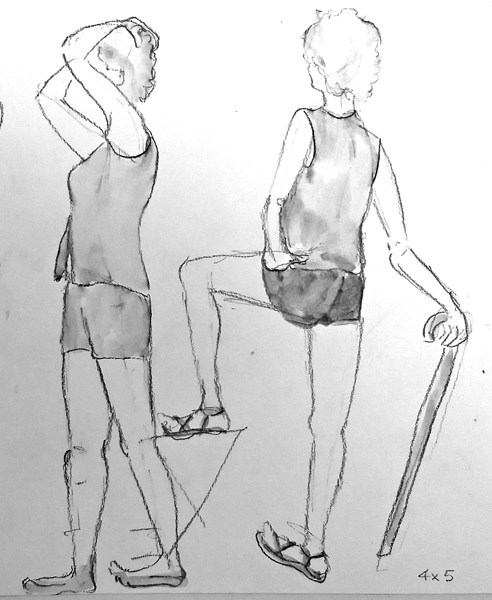 2 Minute Poses: I'm still playing with the line of action method - drawing quick lines to establish the pose, and then "fleshing out the body." 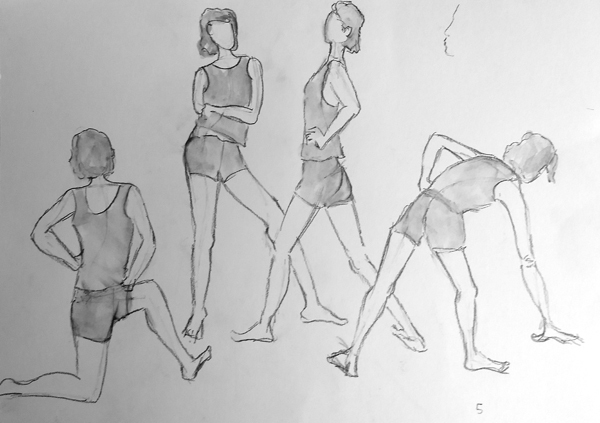 I think this helps me with the short poses, and the complicated positions. 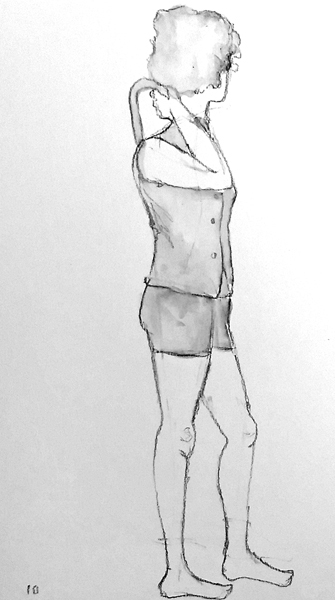 Drawings were done with a General Sketch and Wash pencil and then spread with clear water and a waterbrush. 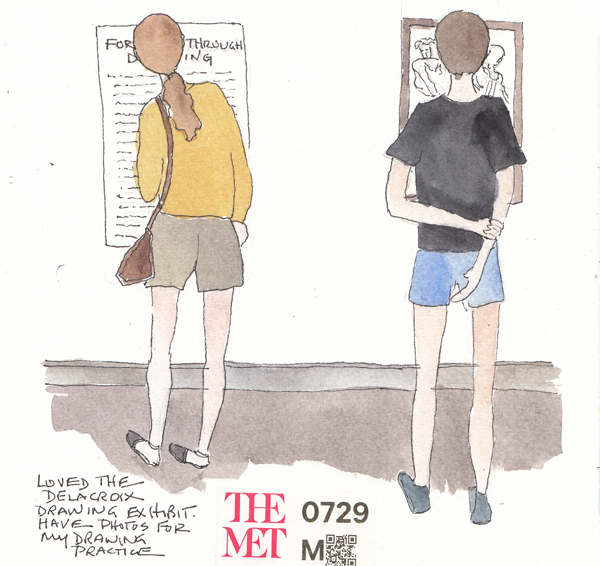 The Metropolitan Museum of Art in New York City has a Delacroix Drawing Exhibit this summer. 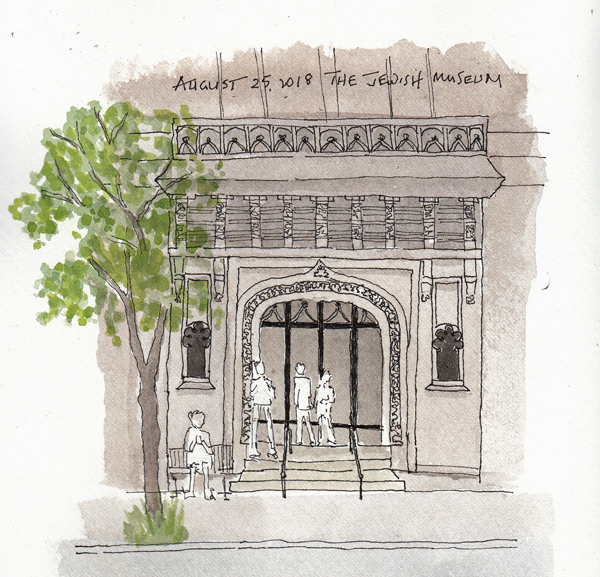 He is one of my favorite draftsmen and this exhibit was wonderful. These are two patrons at the exhibit. 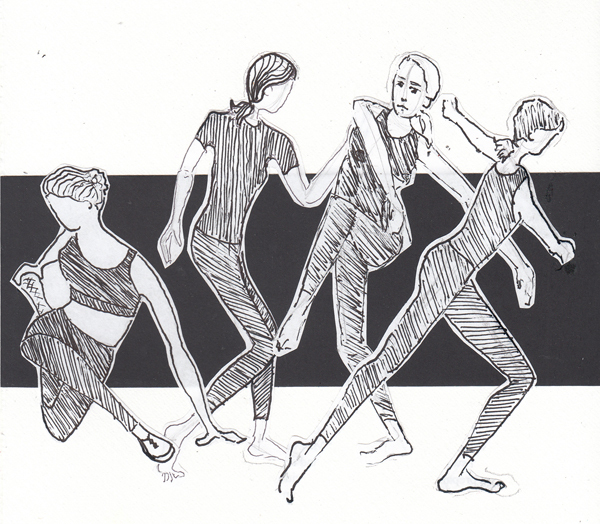 I took many photos so I could do a few ink drawings at home. Here is one head, from a big sheet of head drawings. 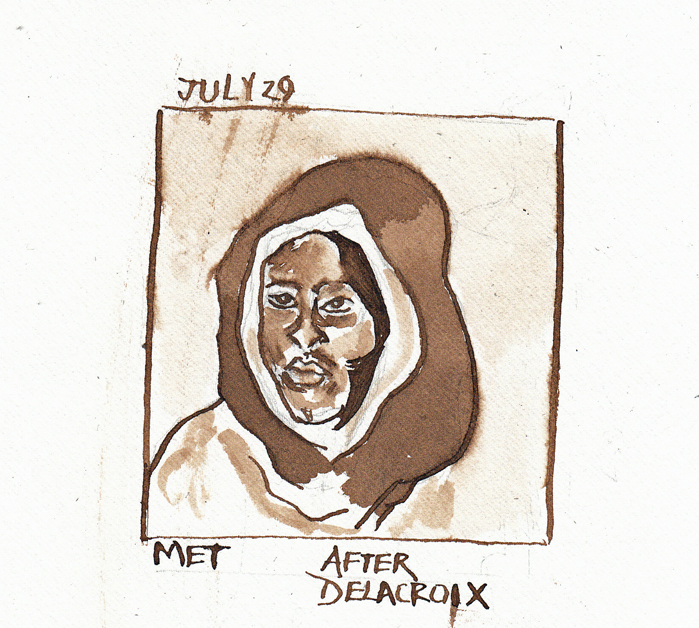 I used a dip pen and walnut ink. This was one of my favorite drawings because I love his drawings with a loose style. 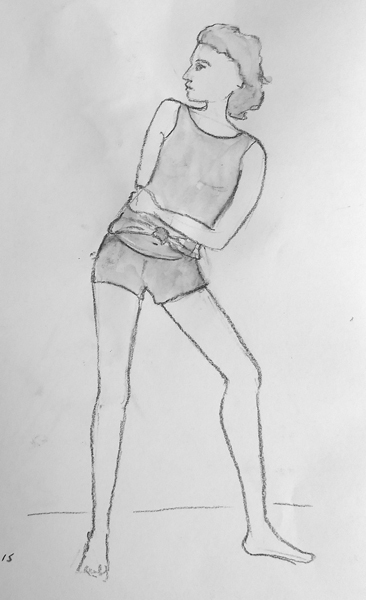 It isn't one that I would attempt to copy as drawing practice. 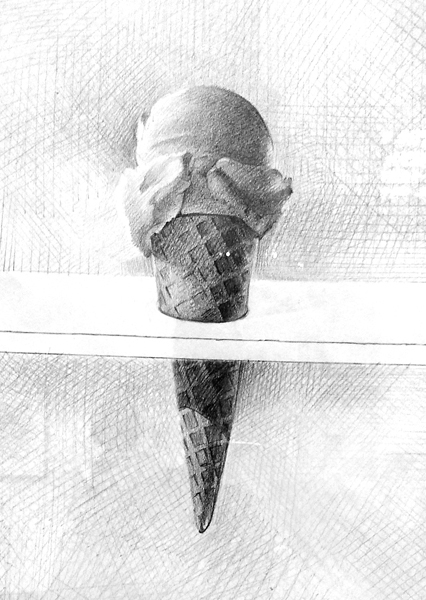 The Morgan Library and Museum has a Wayne Thiebaud exhibit this summer. 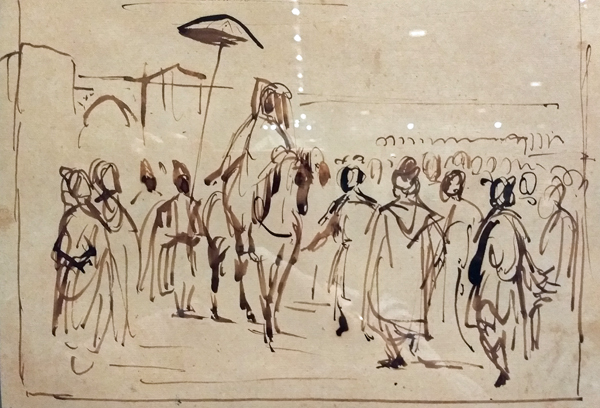 I regularly see his oil paintings at auction previews, but never previously saw his drawings. 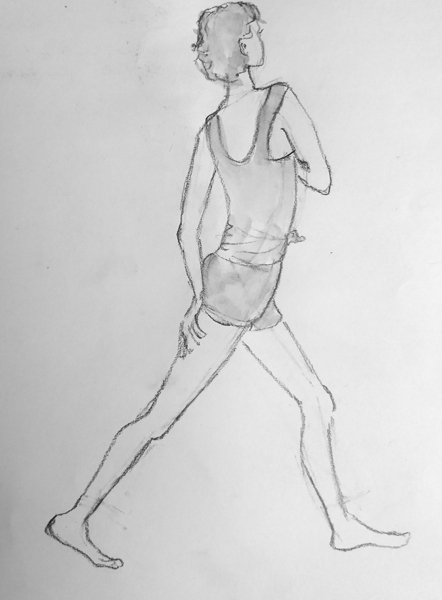 I did several sketches from his graphite drawings and then painted them at home. 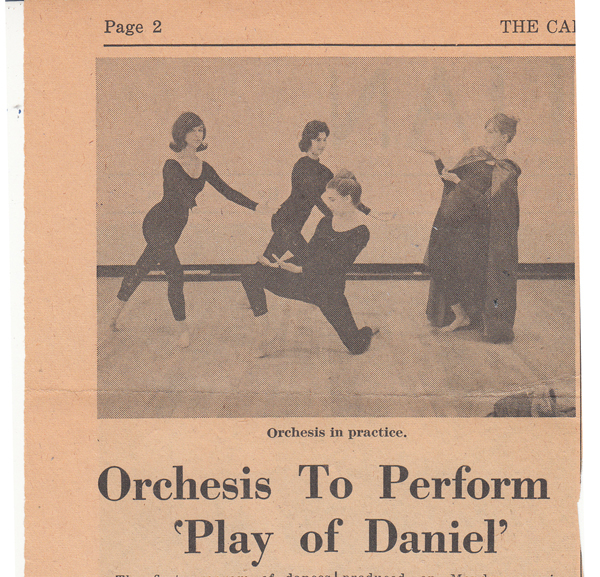 I'm also including photos of several of his works on paper that were a surprise to me. 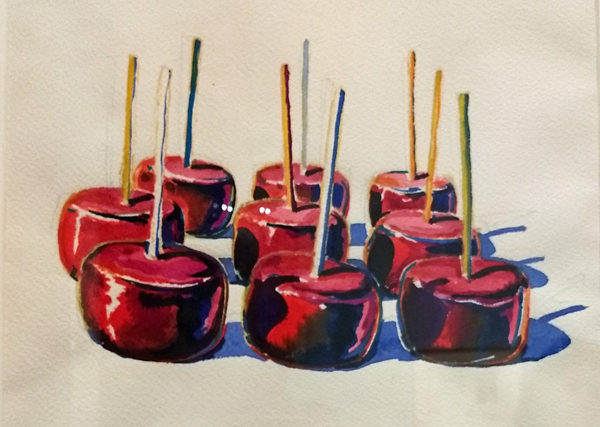 Thiebaud's watercolor of his famous candy apples theme.